These stories come directly from the pages of Seventeen magazine. Each one includes a lurid description of the crime, followed by the punishment meted out by the criminal-justice system. The opening story features a preteen murdered by her mother after she confesses to losing her virginity. This is followed by a selection about “lesbian killers” who brutally stabbed one of the girl’s grandparents and another entry about an eight-months-pregnant 14-year-old murdered by contract killers hired by the victim’s adult boyfriend. One of the more appalling aspects is not only how many of the victims are young girls, but also how many of the perps are. There was nothing really special about these stories. This was a quick easy ready, written to ‘grab’ your attention. Quick overview of crime, most of the time not much of an investigation, and then the punishment. 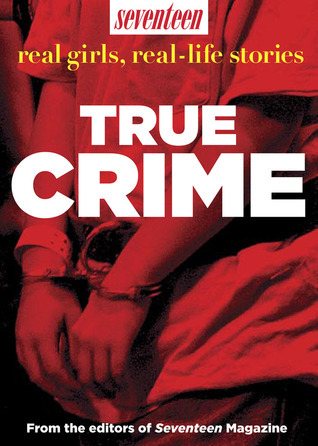 Posted by Belleza on October 24, 2012 in 2012, Non-Fiction, True Crime and tagged Bank robbery, Compilation, Murder, Seventeen Magazine, Teenage girls.